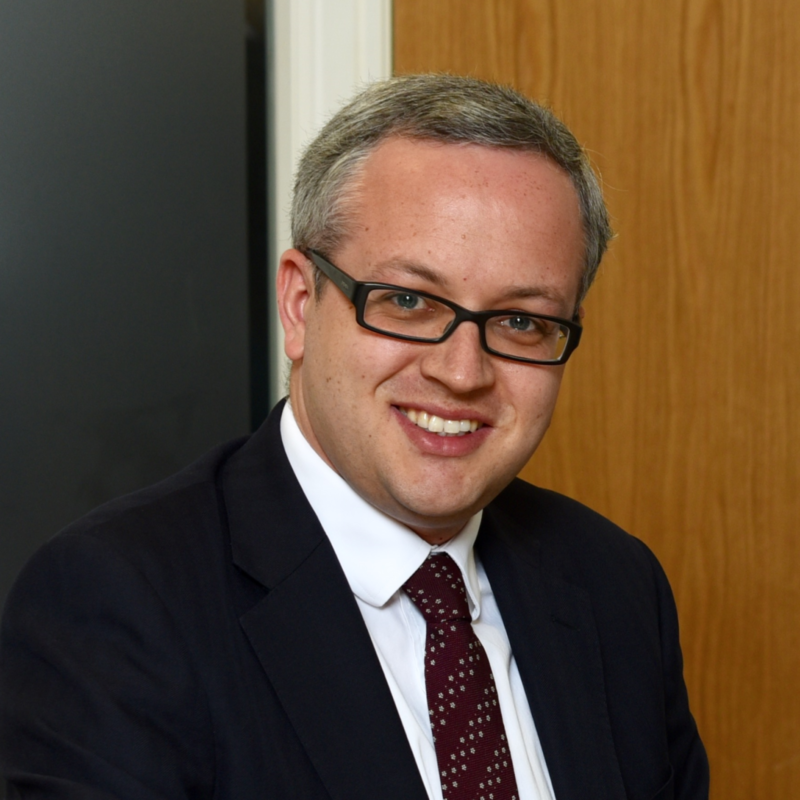 The Money Advice Trust’s head of public affairs Matt Hartley blogs on our response to the Treasury’s latest consultation on its planned new Breathing Space scheme. Today is the last day for responses to the Treasury’s latest consultation on its Breathing Space scheme and the government’s planned new additional debt solution, the Statutory Debt Repayment Plan (SDRP). Both have been a long time coming – and as Joanna recently blogged, broadly speaking, we have been encouraged by what the Treasury has come up with so far. The proposed Breathing Space scheme – now lasting 60 days – offers strong and welcome protections from interest, charges and new enforcement action. Debt advisers will have a central role, using the sensible approach of an online portal run by the Insolvency Service, in a design very similar to the model we recommended last year. Especially pleasing was the inclusion of business debts for sole traders – which we think will make a huge difference to many of the people we help at Business Debtline. All of this represents a great deal of progress for the sector, but there is a lot more to do to make this scheme as effective as possible. For Meg van Rooyen and I here at the Trust, and for our policy colleagues across the advice sector, the new consultation has meant plenty of late nights to make sure we influence the scheme in the right direction for the benefit of the people we help. Here’s a summary of the key points we have raised in our response (or you can read all 15,000 words here!). This one cannot be overstated. It is absolutely critical that local authorities, HMRC and DWP in particular are included in the protections offered by both Breathing Space and Statutory Debt Repayment Plans. We are pleased the Treasury has taken a sensible approach to which debts should be included – “everything is included until it’s not” – but the absence of any explicit commitment that these public sector creditors will be included was striking. National Debtline has seen huge rises in the proportion of people contacting us for help with debts to local and central government over the last decade. Council tax arrears now account for 30% of callers to National Debtline, up from 15% in 2009 – while debts relating to benefit and tax credit overpayments have surged from 3% to 16% in the last eight years. It’s often these debts, and the debt collection practices of the public sector, that cause the most disruption to people’s ability to resolve their debt problems. This issue has received growing attention – including from the National Audit Office and Treasury Select Committee – and here is an opportunity for the government to show real progress in response. We worry that the proposed 30 day check – where advisers would check that people within breathing space are on track to resolve their debt problem – would be overly onerous for advice agencies, reducing the time available for providing advice to clients. We have instead suggested a less onerous system – and recommended that any check that is introduced is made as light touch as possible. Perhaps more concerning is the proposed requirement on clients to meet their ongoing liabilities during the 60 days. While we agree this is of course the ideal scenario, in theory – this risks undermining the overall aim of the scheme by effectively excluding the growing number of people presenting for advice with deficit budgets, who are likely to struggle to meet this requirement in practice. Both requirements should be reviewed. 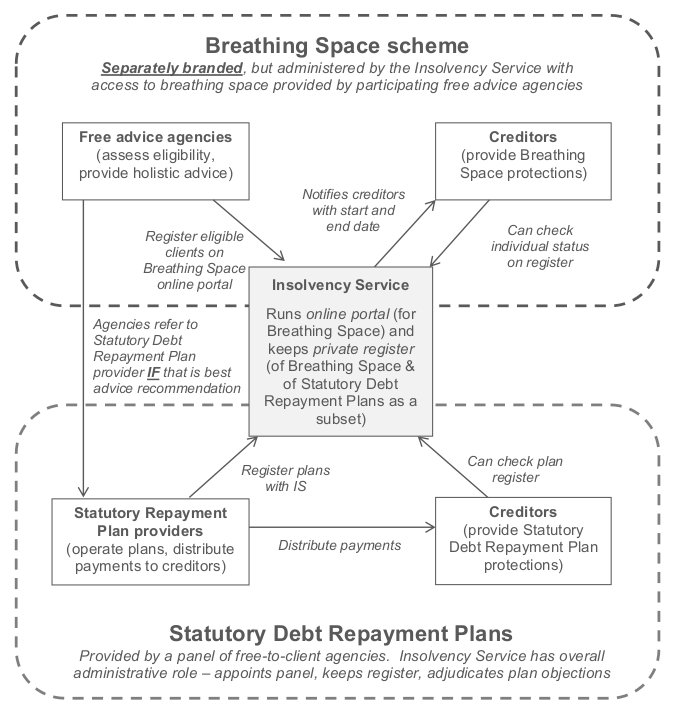 As Joanna blogged in November, If Breathing Space is going to the success that we all hope it will be, then demand for debt advice is going to rise significantly – indeed, this is one of the Treasury’s two stated policy objectives behind the scheme. The proposal is silent, however, on how this demand should be funded. We have recommend that the government make wider arrangements to improve funding for free debt advice to ensure this increased demand can be met – as well as addressing the smaller but still critically important issue of how to fund the actual work involved in operating the Breathing Space portal. This should also include reviewing the appropriate levels of fees for Statutory Debt Repayment Plans, within the broader context of debt advice funding. Many aspects relating to the operation of SDRPs will no doubt be subject to further consultation, now that these are being developed to a longer timetable – a sensible move and one which reflects the ‘two schemes, not one’ approach that we have previously advocated. There’s plenty more detail in our full response – on how including sole traders could work, the need for flexibility and adviser discretion, our continued view that both schemes should be restricted to free-to-client agencies, the workings of the mental health alternative access mechanism, and much more. All this said, we shouldn’t lose sight of the fact that this is a very encouraging proposal – and comes at a time when there are lots of reasons for optimism for all of us engaged in the debt policy landscape. It feels like we are finally making progress, as a sector, on several fronts – with recent headway in our long-running campaign for bailiff reform, the government making warm noises on affordable credit, and of course the new Single Financial Guidance Body and devolved administrations making their plans for the future provision of debt advice. Read our full response to HM Treasury’s Breathing Space consultation here.